By Tiffani Ireland – The regularly scheduled monthly meeting of the Edgefield County Council Monday night, Sept. 10, did not last as long as it could have due to the postponements of public hearings on three proposed ordinances and the postponements of the second readings of the ordinances themselves. The three ordinances in question had to do with re-establishing the Zoning Board of Appeals, amending Chapter 8 of the Code of Ordinances which deals with building and regulations, and establishing the proposed Highway Access Plan. The postponements came about after the dates for these hearings were incorrectly advertised. The hearings, as well as the second readings of the ordinances, have been rescheduled for the October monthly meeting. Additionally, another issue directly related to the Highway Access Plan, listed as number one on the agenda under New Business, was also tabled until the next monthly meeting. County Attorney Michael Medlock appealed to Council for compensation pertaining to matters in which he must represent the Tax Assessor’s Office in Administrative Court in Columbia. He asked to be reimbursed up to $2,500 for each time he must act in this capacity. To this request, Councilman Dorn questioned, “Isn’t he already on the payroll?” Medlock responded by saying, “This is not part of my agreement with the county.” Medlock explained that this was a new requirement as in the past the assessor had been able to appear without legal representation. Mr. Bright offered that he felt an attorney has always accompanied the assessor in the past. Administrator Lynn Strom shared with Council that information she was able to obtain did indicate that a past assessor did go once by herself but was told from that point on an attorney would be needed, and one has gone each time thereafter. Strom also said in talking with Mike Reed, he felt that 60% of the preparation for these legal proceedings are done by him and 40% is handled by Medlock. Medlock concurred that these were fair numbers representing the work load between the two. In the end, the measure died without a motion. 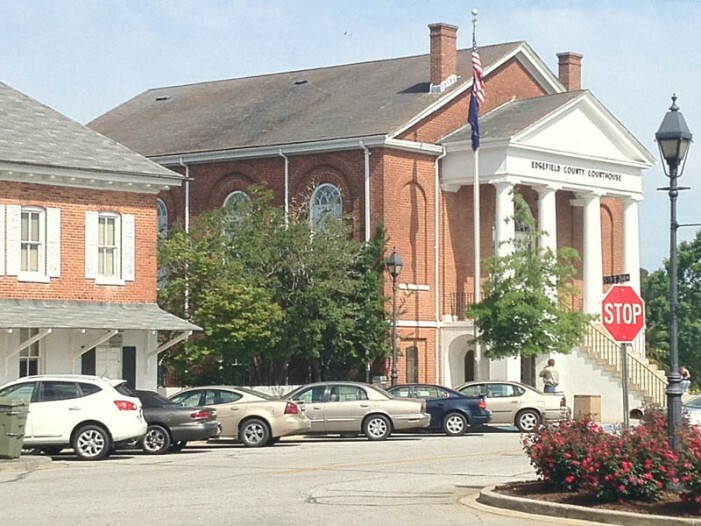 However, the issue did not remain dead for long, as, following discussion in another proposed legal matter for the county, Medlock informed Council that a trial involving the assessor’s office is scheduled for next week and that he would not be attending as the office’s legal representative if he was not going to receive the requested compensation. To this, Councilman Dean Campbell advised Medlock that he, as an attorney, should be able to have the matter postponed until the issue could be put on the Council’s agenda for next month. In regards to the other legal matter, Council’s approval was sought for the County to enter into a law suit against Brewer’s Scrap Iron located on Woodyard Road for violation of an ordinance that says such operations may not be nearer that 500 feet to any residential use, church, school, historical place, or public park. The business, which is a metal scrapping operation, is located approximately 350 feet from a residential property. Council was informed that County staff has met with Brewer’s in regards to this matter and formal letters requesting the business move its operation into the allotted boundaries have also been sent; all to no avail. Councilman Dorn said that the only way he could support such a matter was if there was a stipulation put into the suit wherein the defendants will have to pay the county’s legal fees if the judgment is found in favor to the county. While Medlock initially said they could certainly add such a measure, he later told Council that he was unaware of any case in which such fees were awarded to a government entity for successfully presenting its own case. Councilwoman Genia Blackwell asked that the measure be tabled until next month’s meeting so that Medlock could determine the matter of the county’s ability to recoup its fees associated with this case. This was put to Council in the form for a motion and passed 4-1; Dorn voted negatively. Council was made aware that Roger LeDuc has resigned from his post on the Building and Planning Commission. Administrator Strom said that with his resignation, LeDuc advised Council that there was really no need to fill his position as there is already someone on the commission serving in his capacity. Strom concurred with Leduc’s advice and joined him in requesting that instead, Council hire a building inspector as this was the position which actually needed to be filled on the commission. The salary for such a position was estimated to be anywhere from $29,000-$40,900, and Strom said there was enough money in the budget to cover this hire. The measure was approved in a 4-1 vote. Dorn was the dissenting vote. Council also voted to approve entering into a lease agreement with Catholic Church of Edgefield. However, while this measure passed unanimously, the vote was only 3-0 as Councilman Ashcraft had to recuse himself because he is a member of said church and Councilman Dorn left the meeting while discussion of this matter was still on-going. The agreement that Council has reached with the church for this five year lease states that the county will pay $600 annually for use of the church’s parking lot and will provide $250,000 in liability insurance. In addition, Council agreed to patch and seal-coat the parking lot one time during the duration of the lease although the time of this procedure is not specified. When asked as to the cost to the County for this additional insurance, Administrator Strom was unable to provide a specific number but said she felt it would be “nominal” and estimated it should be no more than $1,000. Council heard an appeal from Justin Guy with the Edgefield County Historical Society asking for $1,000 to help cover costs of costumes and props for the society’s planned performance of Becky Cotton – The Devil in Petticoats. Chairman Campbell reminded Council that the only money budgeted for non-profit organizations was for those that were mandated by law or those that provided a specific service to the community. He recommended that Council take this appeal as information only; thus no motion or vote resulted from this matter. Council also received a presentation from Lindsey Finley and Don Cheeks of the Red Cross of Aiken in which they shared with Council the different services available to citizens in Edgefield County from the organization. The pair also appealed for volunteers and asked Council to remember the Red Cross and spread the word of their services to the citizens of the county. Mrs. Finley stated that most of the local assistance the agency provides is to families affected by fire. She said they help 7-14 Edgefield families each year who are victims of fire. Both Finley and Cheeks shared that anyone needing information about the Red Cross may call their local number 24 hours a day at 803-637-3813. In her closing comments to Council, Administrator Strom informed Council that per their request, the SCDOT has removed Rail Road Street from the state’s road system. She also stated that the SCDOT had recently conducted a study of Sweetwater Road and deemed it a “relatively safe road.” The DOT had few concerns with the road but did cite some signage issues and places where guardrails would be advisable. The guardrails, however, may take some time in actually being put into place as funding for them is not currently available. The roadway did go onto a state-wide waiting list for those safety items. Additional state funding was found to be available to the Emergency Management Agency, however. Per Strom, the agency will receive a 100% funded grant in the amount of $7,000 as part of a credential system. This money will be used to purchase name badges for personnel that will have encoded bar codes with their pertinent information. Council did go into Executive Session before their adjournment. However, no action was taken in the session nor upon Council’s return.